Nephrotic Syndrome is a medical condition, in which a collection of symptoms are resulted from many diseases that affects the kidneys, causing a prolonged, severe protein loss into the urine, increased fats level (lipids) in the blood, retention of the water excess and salt in the body, and decreased levels of protein in the blood (particularly albumin) occurs. Nephrotic Syndrome may happen at any age. In children, it usually occurs between ages of eighteen months and four years; and boys are affected more than girls. In older individuals, the men and women are affected equally. Nephrotic Syndrome may be resulted from any of vast array of diseases or glomurulopathies. The syndrome may be also caused by a number of drugs, especially, heroin used intravenously. Certain types of Nephrotic Syndrome are hereditary. The syndrome that is caused by HIV (human immunodeficiency infection) happens mostly in black individuals with this infection. Nephrotic Syndrome develops to complete kidneys failure in three or four months. Symptoms of Nephrotic Syndrome at early stages include frothy urine; tissue swelling, caused by excess of fluid and salt retention; appetite loss; abdominal ache; general sick feeling; wasting of muscles; and puffy eyelids. Other symptoms can include serotium in men and knees; swelling. The blood pressure fall,leading to the shock, can progress in children. Adults can have normal, high, and low blood pressure. Deficiency of nutrients can be caused by loss of nutrients including glucose in the urine. Growth can be stunted. The nails and hair can become brittle and some hair can fall out. Calcium can be lost from the bone. Horizontal white lines can progress in fingernail bed for unknown reasons. Peritonitis (inflammation in the abdomen’s lining) may occur. 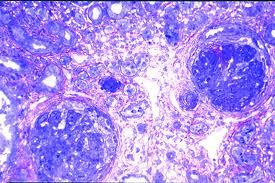 Opportunistic infection infection resulted from normally harmless bacterias is common in nephrotic syndrome. Blood clotting becomes abnormal, extremely increasing the risk of thrombosis (blood vessels clotting), especially inside the major vein from the kidneys; although, blood might not clot, usually causing excessive bleeding. High blood pressure is likely to occur in patients with connective tissue disease and diabetes. Nephrotic Syndrome’s diagnosis depends on the laboratory findings and symptoms. 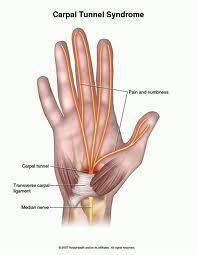 Urine laboratory tests reveal protein’s high levels with casts (cells clumps). In Nephrotic Syndrome, levels of potassium are high and sodium levels are low. Concentration of fat (lipids) is high, and sometimes may exceed ten times normal. 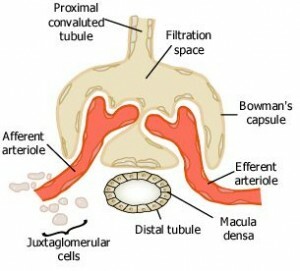 The physician evaluates possible Nephrotic Syndrome’s causes, including drugs. Tests of the blood and urine can determine an underlying disorders. If an individual is elderly or has lost weight, the doctor starts to search for cancer. A biopsy obtained from kidney, helps to categorize certain kidney tissue injury. Nephrotic Syndrome has good prognosis. If it is caused by a minimal change disease (mild type of glomerulonephritis), 90% of children as many as adults respond to treatments. 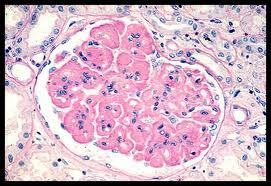 The disease seldom develops to kidneys failure, although, it is likely to repeat. However, after a 1 year of being disease-free, an individual is not likely to have a recurrence of Nephrotic Syndrome, caused by amyloidosis, diabetes, or systemic lupus. The treatment’s goal is to suppress symptoms rather than attempt to cure. Treatment of Nephrotic Syndrome depends on underlying cause. Treating the infections that result in Nephrotic Syndrome, can cure the disease. If heroin causes the disease, use of heroin must be stopped. An individual, who is sensitive to insect bites, sunlight, poison oak, or poison ivy must avoid such irritants. If nephrotic syndrome is caused by drugs, drugs use should be discontinued. If no reason is found, the patient is given drugs that suppress the person’s immune system, such as Cyclophamide or Corticosteroids. However, these drugs may cause problems in children, because they supress sexual development and they may stunt growth. Common therapy include a diet consisting of normal potassium and protein amounts, but that is low in sodium and saturated fat. If fluid collects in the person’s abdomen, oftenly, eating the small portions of meal can help decrease symptoms. High blood pressure is generally treated with a diuretic. Anticoagulants can keep clot formation under control. Any infections may be life-threatening and should be treated immediately.